The government have been in the news this week as they go to court to protect the rights of bankers to claim big bonuses. All the while we little people struggle to make ends meet as winter fuel prices rise by an incredible 10%. As Russell Brand pointed out to Jeremy Paxman the government at present is missing the bigger issue. They may be fighting for corporations, spending time protecting bankers bonuses but they're completely forgetting that a 10% rise in fuel is a lot of money to us. The bankers bonuses can stretch into hundreds of thousands of pounds, sometimes millions, figure many of us can't comprehend, so maybe the extra few hundred pounds a year for us seems insignificant to these who take money for granted. Yet it can break us, despite the governments ignorance, these price hikes add a lot of stress to an already tentative economy. The working classes are the most affected but even middle classes are feeling the pinch. While bankers receive their bonuses, some of us are turning to payday loans and EBay to meet the rising costs just to enjoy one of life's essentials, keeping warm in winter. For many of us ten pounds is a lot of money, it can be hard to come by when we've food, rent and other needs to meet. For David Cameron it seems everyone should have access to a fistful of tenners, as they are pieces of small change used to tip taxi drivers, or to use when the loo paper runs out. We've already sacrificed the family car as the cost of fuel rises and we're constantly told to go greener, yet it seems we have little power over influencing the government to tackle these rising problems that are increasing poverty and in some cases even causing critical illnesses. Half-hearted schemes have been rolled out such as the Green Deal allowing tenants and homeowners to incur more debt with loans as they replace boilers to become more energy efficient. 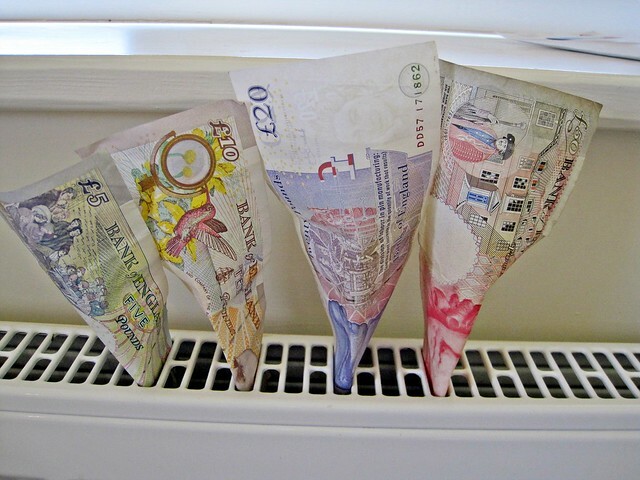 The money it promises to save on bills will be cancelled out this winter as the prices rise yet again. For those of us living in rural areas the green deal doesn't apply. It seems your boiler has to be gas only which is absolutely ridiculous. 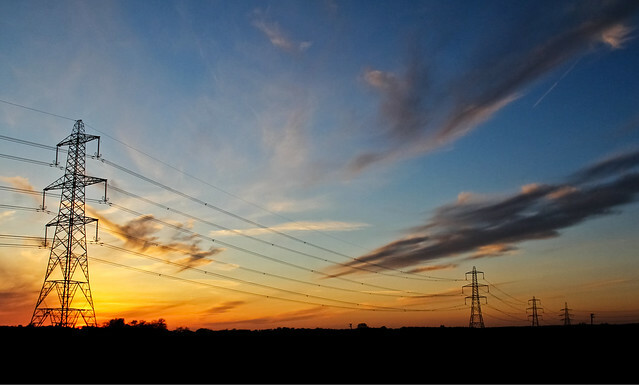 How can we save money on electric, gas and oil? How can we enjoy warmth as standard during winter? This necessity we used to take for granted is now a luxury in most households as many worry about the consequences of putting the heating on. One tip is to turn off most radiators upstairs in the home. If your loft in well insulated your home should become naturally warm as the insulation reflects the rising heat back to the lower parts of the house. Upstairs rooms usually consist of bedrooms which have duvets and blankets, so if you do feel a little chilly, socialise downstairs in the family rooms or get under the covers. You may think this compromises comfort but you'll see that the upper rooms become warm all by themselves as the heat rises. This could cut fuel bills by half. Many people consider comparing their electric and gas companies but have you sat down with a calculator and an energy efficiency meter and compared them against each other? Yes, it's slightly complicated but there are many tools online to help and once you've worked it out you'll find you have the potential to save quite a lot. For instance, in our house we have oil not gas. It costs an absolute fortune, in winter (until we got used to it) it cost us £300 per month, that's without the electric bill on top. The oil, just like gas heats all the water and the radiators, so in summer when we didn't need heating we worked out if it would be cheaper for the electric to give us hot water instead. It turned out that we'd save quite a few pounds by leaving the oil tank empty (not recommended just turn off the valves) and using electric for hot water instead. We then assessed the rest. Is using the dryer more economical than drying on radiators? 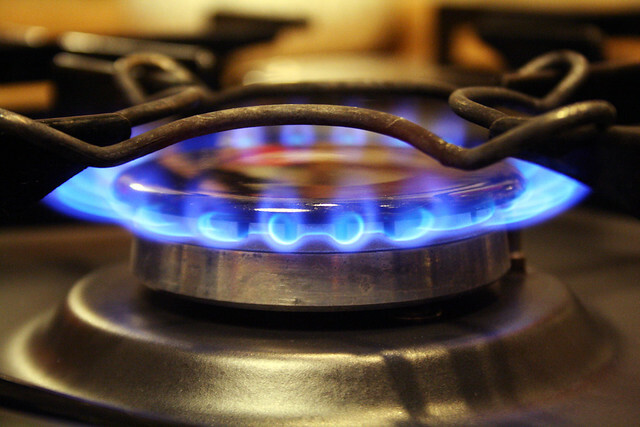 Would using an electric hob burn less energy than a gas hob? It does seem quite stringent but in this economic climate it may be compulsory to give us back a little control over our bills.